Thinking about adding to your real estate portfolio? California real estate investing is still tremendously profitable. However, not all areas are as hot as others. As a real estate investor, you know the importance of doing your due diligence – a single mistake could land you with a property with undisclosed sinkholes, or a home that has foundation issues in which your investment must be written off as a loss. While you certainly need to scrutinize the individual investments you make, you also need to take a closer look at the areas themselves, particularly in California. Before we go much further, we need to mention that California real estate has been officially dethroned. After spending a record amount of time at the top of the national charts, you’ll find that the state has dropped, and few counties in the state even rank among the national top 10. According to Realtor.com, “For the first time in years, California markets aren’t fully dominating our monthly list of the hottest markets. In fact, the Golden State has even ceded its long-held No. 1 spot. And each month, California reliably hogs the greatest share of the top 20 spots of any state. But while 11 of the top 20 markets in March could be found in the Golden State, in April, that tally had fallen to only six. That’s the lowest number since we started doing this ranking in 2012”. Why is that? Actually, there are quite a few reasons, but the primary one is price. Simply put, prices for California real estate are just too high for many individual investors. Saying that, this isn’t the entire story. For many investors, now is a great time to get involved in California real estate. It’s just a question of the type of real estate investment you’re making, and the area in which you intend to invest. There are any number of real estate investing types out there. You could be a home builder. You might be a rehabber. 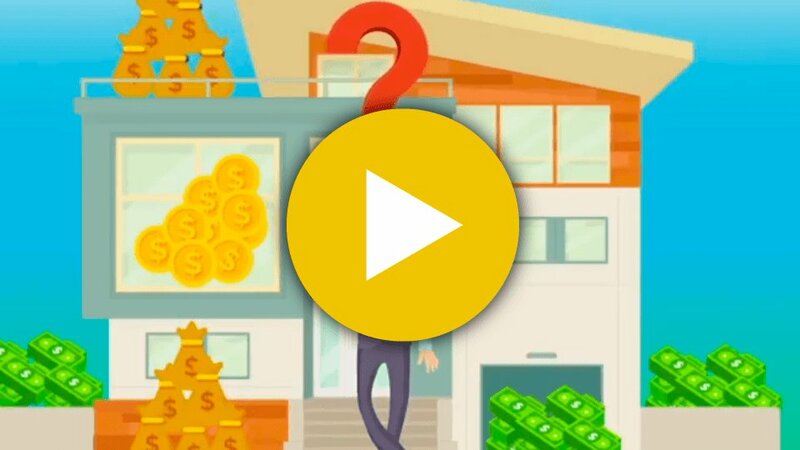 You could be a speculator who specializes in quick flips. You could be an investor who purchases a single property and then splits it into multiple rental units. In those cases, you’re good to go with almost any area of California’s real estate market. The reason for this is your horizon is visible – you have a limited amount of exposure to risk in the market. If you can get in and then get out quickly, things are great pretty much everywhere. The entire state of California is currently experiencing a massive housing shortage that will not go away any time soon. In fact, it’s expected to get worse. This means that any investor with an offering that can get to market quickly stands to see an excellent return on that initial investment. If, however, you are a multi-year investor and there’s no defined horizon, it is best to avoid both the entire Bay area, and the greater Los Angeles area. Why is this? Simply put, there’s no telling when a boom will turn into a bust. So, where should you turn? What areas of California make the best bet for rounding out your real estate portfolio? Now that we’ve touched on some of the areas that might not be right for your investing activity, let’s take a closer look at areas prime for real estate investing. Sacramento: Sacramento enjoys excellent job growth, as well as population growth. Home prices in the area remain within the bounds of reason, as well. Vallejo: One of the only California real estate markets to remain on the national top 20 list, Vallejo has a lot to recommend it, including a growing job market and reasonable housing prices. The area is also relatively affordable in comparison to other cities in California. Modesto: Like Sacramento and Vallejo, Modesto enjoys reasonable housing prices and good jobs growth. However, there is some instability here due to the economic situation. Fresno: Fresno shares the same benefits and drawbacks as Modesto. It’s primed for investors, but it might be better suited to those who have a very defined time horizon, rather than those who intend to invest and hold for many years. Yuba City: This area might not be the first one you think of when picturing real estate investing in California, but it should be. While the economy here is nothing like it is around Silicon Valley, or south near L.A., home prices are considerably lower and there’s more room for growth in the future. Chico: Chico shares the same characteristics as Yuba City – you can also add Redding to that list. All three have very different economic drivers than cities farther south in California, but lots of room for upward mobility when it comes to housing prices. Stockton: Again, Stockton might not be your ‘go to’ area for investment. However, this central California city has a lot going for it, including lower home prices with room for growth. Deciding which properties to add to your real estate portfolio is never an easy decision. It requires a great deal of investment savvy, as well as paying close attention to not just the national and state real estate markets, but local trends in the areas you find of interest. It is also worth noting that nontraditional real estate investments can yield significant results. For instance, fractional investing in single-family homes with the backing of blockchain technology could allow you to avoid many of the pitfalls while maximizing your ROI.